LILY S. VILLAMIL, SUBSTITUTED BY HER HEIRS RUDY E. VILLAMIL, SOLOMON E. VILLAMIL, TEDDY E. VILLAMIL, JR., DEBORAH E. VILLAMIL, FLORENCE E. VILLAMIL, GENEVIEVE E. VILLAMIL, AND MARC ANTHONY E. VILLAMIL, PETITIONER, V. SPOUSES JUANITO ERGUIZA AND MILA ERGUIZA, RESPONDENTS. This is a petition for review on certiorari seeking to reverse and set aside the Decision, dated 29 June 2010, and Resolution, dated 2 February 2011, of the Court of Appeals (CA) in CA-G.R. SP No. 109813 which nullified the Decision, dated 2 October 2008, of the Regional Trial Court, Dagupan City, Branch 44 (RTC), in Civil Case No. 2007-0014-D, an action for recovery of possession. ''A parcel of land (Lot 3371-C) of the subdivision plan (LRC) Psd-111002, being a portion of Lot 3371 Dagupan Cadastre, LRC Cad. Record No. 925, situated in the District of Pantal, City of Dagupan, Island of Luzon, x x x containing an area or one hundred ninety-one (191) square meters, more or less. Covered by Transfer Certificate Title No. 31225 with assessed value of P2,290.00 under Tax Declaration No. 221092." In the event however that the petition for the sale of the shares of the minor-owners of the parts of this land is [disapproved] by the court, the amount of P2,657.00 be considered as lease of the land subject matwr of this contract for a duration of twenty (20) years. WITNESS OUR HANDS THIS 29th of September 1972 at Dagupan City, Philippines. 5. That plaintiff has no cause of action. On 14 October 2004, the MTCC dismissed the complaint on the ground that the cause of action thereof was one for the interpretation of the agreement and the determination of the parties' respective rights. It reasoned that such action was incapable of pecuniary estimation and, therefore, jurisdiction lies with the RTC. On appeal, the RTC reversed the decision of the MTCC on the ground that the cause of action was one for recovery of possession of real property. Considering that the assessed value of the subject property is P2,290.00, the MTCC has original and exclusive jurisdiction over the case. Thus, the case was remanded to the MTCC. Ordering the defendants to pay the plaintiff, jointly and severally, the amount of P5,000.00 as attorney's fees and to pay the costs of suit. Aggrieved, respondent-spouses elevated an appeal to the RTC. WHEREFORE, judgment is hereby rendered AFFIRMING the appealed decision with modification deleting the award of attorney's fees. Unconvinced, respondent-spouses moved for reconsideration. However, in a Resolution, dated 18 May 2009, the RTC denied the motion for lack of notice of hearing. In its decision, the CA reversed and set aside the decision of the RTC. As to the procedural aspect, it observed that despite omission of the name of petitioner's counsel in the notice of hearing, petitioner appeared at the scheduled hearing and even filed her opposition to respondent-spouses' motion for reconsideration. The CA declared that the right of respondent-spouses to appeal should not be curtailed by the mere expediency of holding that there was lack of notice of hearing since the objective of Sections 4, 5, and 7 under Rule 15 of the Rules of Court to allow the adverse party the opportunity to oppose the motion has been clearly met in this case. With respect to the substantive issue, the appellate court declared that the agreement between the parties was a contract to sell involving the subject property because the vendors reserved ownership and it was subject to a suspensive condition, i.e., submission of the sellers of lacking documents or court approval of the sale of the shares of the minor owners. The CA did not acquiesce with the trial court's reasoning that respondent-spouses were already notified of the transfer of title in petitioner's name because such alleged notice was not supported by any evidence on record. It lends credence to respondent-spouses' evidence that they came to know of the fact that petitioner "was already the registered owner of the subject property when a written demand letter was sent to them by the former on 18 December 2001. The CA opined that respondent--spouses' passive and complacent position in not asserting from the sellers what was incumbent under the subject agreement should not be taken against the former. It stressed that the obligation to secure the necessary documents or approval of the court for the minor children to be represented in the Deed of Absolute Sale, was incumbent upon the sellers. WHEREFORE, in consideration of the foregoing premises, the instant petition is perforce GRANTED. Accordingly, the Decision dated October 02, 2008 and Resolution dated May 18, 2009 are perforce reversed and set aside. Thus, petitioners Erguiza shall remain in actual and peaceful possession of the subject property. Petitioner moved for reconsideration but the CA denied the same in its 2 February 2011 resolution. Hence, this petition. WHETHER OR NOT THE 2 OCTOBER 2008 DECISION OF RTC, BRANCH 44, AFFIRMING THE DECISION OF MTCC, BRANCH 3, DATED 15 NOVEMBER 2006 HAS BECOME FINAL AND EXECUTORY AFTER RESPONDENTS FILED A DEFECTIVE MOTION FOR RECONSIDERATION WHICH DID NOT TOLL THE RUNNING OF THE REGLEMENTARY PERIOD TO FILE A PETITION FOR REVIEW; AND WHETHER THE COURT OF APPEALS COMMITTED GRAVE ABUSE OF DISCRETION AMOUNTING TO LACK OR IN EXCESS OF JURISDICTION WHEN IT GAVE DUE COURSE TO THE PETITION. WHETHER OR NOT THE COURT OF APPEALS COMMITTED GRAVE ABUSE OF DISCRETION AMOUNTING TO LACK OR IN EXCESS OF JURISDICTION WHEN IT REVERSED THE DECISION OF RTC, BRANCH 44, AFFIRMING THE DECISION OF MTCC, BRANCH 3, WHICH RULED THAT PETITIONER HAD A BETTER RIGHT TO POSSESS THE PROPERTY AFTER PETITIONERS FAILED TO PAY THE BALANCE OF THE PURCHASE PRICE AND THE SECOND CONDITION HAD SET IN, THAT IS, THE DOWN PAYMENT WAS APPLIED AS RENTALS FOR TWENTY (20) YEARS FROM 1972 TO 1992. Petitioner argues: that the RTC decision has actually become final and executory after respondent-spouses filed a defective motion for reconsideration which did not toll the running of the reglementary period to appeal the decision before the CA; that the motion for reconsideration was a mere scrap of paper as it did not contain notice of the time and place of hearing; that respondent-spouses knew that petitioner was the owner of the subject property because they sought her permission to build their house thereon; and that it is contrary to human experience that, being interested persons, respondent-spouses would not inquire about the status of the subject property. In their Comment, respondent-spouses contend that they complied with the provision of the Rules of Court as regards notice of hearing such that on the day the motion for reconsideration was to be heard, petitioner was present and she even filed her opposition to the motion; that while the notice of hearing was only addressed to the Branch Clerk of Court, petitioner was furnished with a copy of the motion for reconsideration; that petitioner and her siblings did not take steps to fulfil the suspensive condition; that they made an illegal act of transferring the share of the minors in the name of petitioner; that petitioner only informed them of the consolidation of ownership when they received a demand letter on 18 December 2001 and when they were summoned to appear before the office of the Barangay Captain sometime in April 2002; and that if petitioner had the slightest intention of informing them of her ownership of the subject property and for them to pay the remaining balance, she should have done so immediately upon the transfer of the title in her name. In her Reply, petitioner avers that upon seeing the minor owners reach the age of majority, it would be logical for respondent-spouses to follow up with her and her co-owners since court approval was no longer necessary; that notwithstanding this information, respondent-spouses did not pay the balance of the consideration; and that being an interested party in the collection of the remaining balance, it is more in accord with human experience that she would have informed respondent-spouses about the consolidation of ownership in her name. Petitioner had the opportunity to be heard despite the lack of notice of hearing. Sec. 5. Notice of hearing. The notice of hearing shall be addressed to all parties concerned, and shall specify the time and date of the hearing which must not be later than ten (10) days after the filing of the motion. The general rule is that the three-day notice requirement in motions under Sections 4 and 5 of the Rules of Court is mandatory. It is an integral component of procedural due process. "The purpose of the three-day notice requirement, which was established not for the benefit of the movant but rather for the adverse party, is to avoid surprises upon the latter and to grant it sufficient time to study the motion and to enable it to meet the arguments interposed therein." "A motion that does not comply with the requirements of Sections 4 and 5 of Rule 15 of the Rules of Court is a worthless piece of paper which the clerk of court has no right to receive and which the court has no authority to act upon." "Being a fatal defect, in cases of motions to reconsider a decision, the running of the period to appeal is not tolled by their filing or pendency." The three-day notice rule is not absolute. A liberal construction of the procedural rules is proper where the lapse in the literal observance of a rule of procedure has not prejudiced the adverse party and has not deprived the court of its authority. Indeed, Section 6, Rule I of the Rules of Court provides that the Rules should be liberally construed in order to promote their objective of securing a just, speedy and inexpensive disposition of every action and proceeding. Rules of procedure are tools designed to facilitate the attainment of justice, and courts must avoid their strict and rigid application which would result in technicalities that tend to frustrate rather than promote substantial justice. This Court has indeed held time and again, that under Sections 4 and 5 of Rule 15 of the Rules of Court, mandatory is the notice requirement in a motion, which is rendered defective by failure to comply with the requirement. As a rule, a motion without a notice of hearing is considered pro forma and does not affect the reglementary period for the appeal or the filing of the requisite pleading. As an integral component of procedural due process, the three-day notice required by the Rules is not intended for the benefit of the movant. Rather, the requirement is for the purpose of avoiding surprises that may be sprung upon the adverse party, who must be given time to study and meet the arguments in the motion before a resolution by the court. Principles of natural justice demand that the right of a party should not be affected without giving it an opportunity to be heard. A perusal of the records reveals that the trial court gave petitioner ten days within which to comment on private respondents' motion for reconsideration. Petitioner filed its Opposition the Motion on 7 January 2009, and in fact, filed a Motion for Entry of Judgment. Thus, it cannot be gainsaid that petitioner was not given her day in court as she in fact contested private respondents' motion for reconsideration. While it is true that the name of petitioner's counsel was not indicated in the notice of hearing, nonetheless, she was furnished a copy thereof which she received before the date of the scheduled hearing. The requirement of notice of time and hearing in the pleading filed by a party is necessary only to apprise the other party of the actions of the former. Under the circumstances of the present case, the purpose of a notice of hearing was served. Hence, the Court finds no reversible error committed by the CA in ruling that the motion for reconsideration was not pro forma. A contract to sell is defined as a bilateral contract whereby the prospective seller, while expressly reserving the ownership of the subject property despite delivery thereof to the prospective buyer, binds himself to sell the said property exclusively to the latter upon his fulfillment of the conditions agreed upon, i.e., the full payment of the purchase price and/or compliance with the other obligations stated in the contract to sell. Given its contingent nature, the failure of the prospective buyer to make full payment and/or abide by his commitments stated in the contract to sell prevents the obligation of the prospective seller to execute the corresponding deed of sale to effect the transfer of ownership to the buyer from arising. A contract to sell is akin to a conditional sale where the efficacy or obligatory force of the vendor's obligation to transfer title is subordinated to the happening of a future and uncertain event, so that if the suspensive condition does not take place, the parties would stand as if the conditional obligation had never existed. In a contract to sell, the fulfillment of the suspensive condition will not automatically transfer ownership to the buyer although the property may have been previously delivered to him. The prospective seller still has to convey title to the prospective buyer by entering into a contract of absolute sale. On the other hand, in a conditional contract of sale, the fulfillment of the suspensive condition renders the sale absolute and the previous delivery of the property has the effect of automatically transferring the seller's ownership or title to the property to the buyer. Art. 1458. By the contract of sale one of the contracting parties obligates himself to transfer the ownership of and to deliver a determinate thing, and the other to pay therefor a price certain in money or its equivalent. c) Price certain in money or its equivalent. Hence, We hold that the contract between the petitioner and the respondent was a contract to sell where the ownership or title is retained by the seller and is not to pass until the full payment of the price, such payment being a positive suspensive condition and failure of which is not a breach, casual or serious, but simply an event that prevented the obligation of the vendor to convey title from acquiring binding force. Art. 1479. A promise to buy and sell a determinate thing for a price certain is reciprocally demandable. An accepted unilateral promise to buy or to sell a determinate thing for a price certain is binding upon the promisor if the promise is supported by a consideration distinct from the price. 8. In the event however that the petition for the sale of the shares of the minor-owners of the parts of this land is [disapproved] by the court, the amount of P2,657.00 be considered as lease of the land subject matter of this contract for a duration of twenty (20) years. An examination of the agreement would reveal that the parties entered into a contract to sell the subject property. First, petitioner and her siblings who were then co-owners merely promised to sell the subject property, thus, signifying their intention to reserve ownership. Second, the execution of a deed of absolute sale was made dependent upon the proper court's approval of the sale of the shares of the minor owners. Third, the agreement between the parties was not embodied in a deed of sale. The absence of a formal deed of conveyance is a strong indication that the parties did not intend immediate transfer of ownership. Fourth, petitioner retained possession of the certificate of title of the lot. This is an additional indication that the agreement did not transfer to private respondents, either by actual or constructive delivery, ownership of the property. Finally, respondent Juanito admitted during trial that they have not finalized the sale in 1972 because there were minor owners such that when they constructed their house thereon, they sought the permission of petitioner. Now, the next question to be resolved is whether the suspensive condition, i.e., judicial approval of the sale of the minor owners' shares, upon which the obligation of the sellers to execute a deed of sale depends, is fulfilled. Article 1186. The condition shall be deemed fulfilled when the obligor voluntarily prevents its fulfillment. 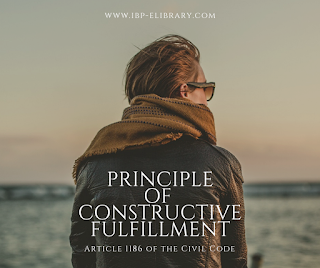 This provision refers to the constructive fulfillment of a suspensive condition, whose application calls for two requisites, namely: (a) the intent of the obligor to prevent the fulfillment of the condition, and (b) the actual prevention of the fulfillment. Mere intention of the debtor to prevent the happening of the condition, or to place ineffective obstacles to its compliance, without actually preventing the fulfillment, is insufficient. Petitioner and her then co-owners undertook, upon receipt of the down payment from respondent-spouses, the filing of a petition in court, after which they promised the latter to execute the deed of absolute sale whereupon the latter shall, in turn, pay the entire balance of the purchase price. The balance of the consideration shall be paid only upon grant of the court's approval and upon execution of the deed of absolute sale. Here, there is no doubt that petitioner prevented the fulfillment of the suspensive condition. She herself admitted that they did not file any petition to seek approval of the court as regards the sale of the shares of the minor owners. In addition, the other co-owners sold their shares to petitioner such that she was able to consolidate the title in her name. 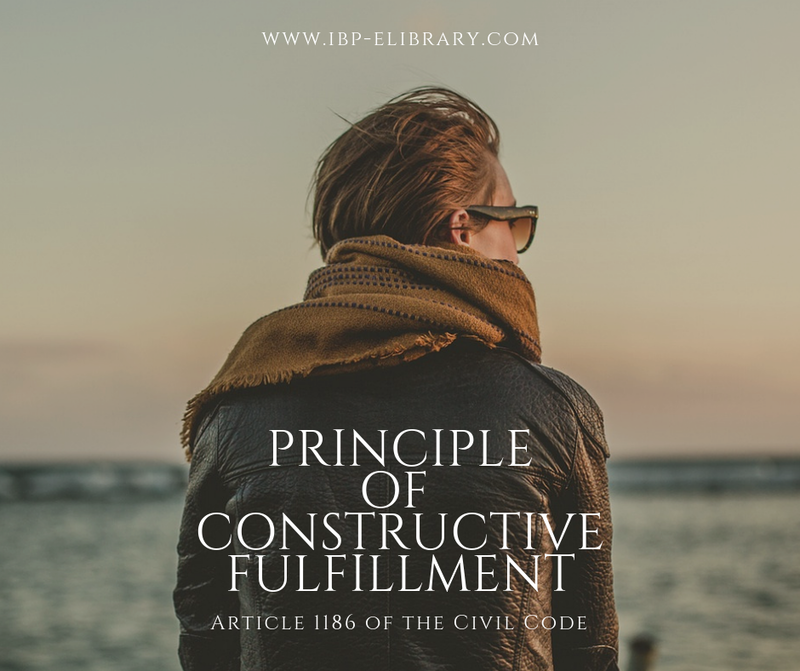 Thus, the condition is deemed constructively fulfilled, as the intent to prevent fulfillment of the condition and actual prevention thereof were definitely present. Consequently, it was incumbent upon the sellers to enter into a contract with respondent-spouses for the purchase of the subject property. Respondent-spouses' obligation to pay the balance of the purchase price arises only when the court's approval of the sale of the minor owners' shares shall have been successfully secured, in accordance with Article 1181 of the New Civil Code. Judicial approval is a condition the operative act of which sets into motion the period of compliance by respondent-spouses of their own obligation, i.e., to pay the balance of the purchase price. Accordingly, an obligation dependent upon a suspensive condition cannot be demanded until after the condition takes place because it is only after the fulfillment of the condition that the obligation arises. Petitioner cannot invoke the non-fulfillment of the condition in the contract to sell when she and her then co-owners themselves are guilty of preventing the fulfillment of such condition. When it has become evident that the condition would no longer be fulfilled, it was incumbent upon petitioner to inform respondent--spouses of such circumstance because the choice whether to waive the condition or continue with the agreement clearly belongs to the latter. Petitioner's claim that respondent-spouses should have known that the condition would no longer be necessary because the latter knew that the minor owners had already reached the age of majority and that they should have been more proactive in following up the status of the contract to sell, deserves scant consideration. While petitioner may have been right in the aforementioned instances, the same will not negate her obligation to inform respondent-spouses of the non-fulfillment of the condition especially in view of the fact that it was her fault that the condition became irrelevant and unnecessary. Who has better right of possession? 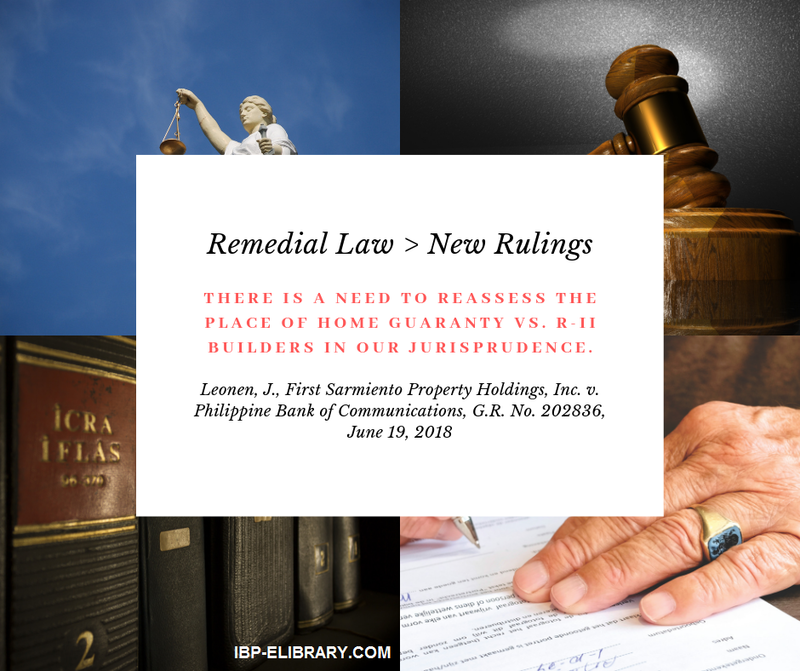 Inasmuch as petitioner has not yet complied with her obligation to execute a deed of sale after the condition has been deemed fulfilled, respondent-spouses are still entitled to possess the subject property. Petitioner cannot anchor her claim on the supposed conversion of their agreement from a contract to sell into a contract of lease as provided in the third paragraph of the agreement which provides that should the court disapprove the sale of the shares of the minor owners, the down payment would be treated as rentals for twenty (20) years. The agreement, however, could not have been converted into a contract of lease for the simple reason that there was no petition filed before any court seeking the approval of the sale as regards the shares of the minor owners. Hence, the court did not have any occasion to approve much less disapprove the sale of such shares. As a result, there was no reason for the contract to sell to be converted into a contract of lease. Respondent-spouses did not become lessees. They remained to be prospective buyers of the subject property who, up to now, are awaiting fulfillment of the obligation of the prospective sellers to execute a deed of sale. Hence, inasmuch as the sellers allowed them to have the subject property in their possession pending the execution of a deed of sale, respondent-spouses are entitled to possession pending the outcome of the contract to sell. WHEREFORE, the petition is DENIED. The Decision, dated 29 June 2010, and Resolution, dated 2 February 2011, of the Court of Appeals in CA-G.R. SP No. 109813 are AFFIRMED. The Entry of Judgment in Civil Case No. 2007-0014-D is hereby LIFTED. Velasco, Jr., (Chairperson), Leonen, and Gesmundo, JJ., concur. Please take notice that on June 20, 2018 a Decision, copy attached hereto, was rendered by the Supreme Court in the above-entitled case, the original of which was received by this Office on August 10, 2018 at 1:19 p.m.
 Rollo, pp. 35-52; penned by Associate Justice Bienvenido L. Reyes (retired member of this Court) with Associate Justice Estela M. Perlas-Bernabe (now member of this Court) and Associate Justice Elihu A. Ybañez, concurring. Id. at 89-94; penned by Judge Genoveva Coching Maramba. Id. at 83-88; penned by Acting Presiding Judge Edgardo M. Caldona. Id. at 18; petition for review on certiorari. Jehan Shipping Corporation v. National Food Authority, 514 Phil. 166, 173 (2005). United Pulp and Paper Co. Inc. v. Acropolis Central Guaranty Corporation, 680 Phil. 64, 79 (2012). Pallada v. RTC of Kalibo, Aklan, Br. I, 364 Phil. 81, 89 ( 1999). Nuñez v. GSIS Family Bank, 511 Phil. 735, 747-748 (2005). CMH Agricultural Corp. v. Court of Appeals, 428 Phil. 610, 621-622 (2002). Ventura, et al. v. Heirs of Spouses Endaya, 718 Phil. 620, 630 (2013). Sps. Serrano and Herrera v. Caguiat, 545 Phil. 660, 667 (2007). Coronel v. CA, 331 Phil. 294 , 310-311 (1996). Chua v. Court of Appeals, 449 Phil. 25, 42 (2003). International Hotel Corporation v. Joaquin, Jr. and Suarez, 708 Phil. 361, 373 (2013). Art. 1181. In conditional obligations, the acquisition of rights, as well as the extinguishment or loss of those already acquired, shall depend upon the happening of the event which constitutes the condition. Catungal, et al. v. Rodriguez, 661 Phil. 484, 508 (2011). IN RE: CORRECTION/ADJUSTMENT OF PENALTY PURSUANT TO REPUBLIC ACT NO. 10951, IN RELATION TO HERNAN V. SANDIGANBAYAN – ROLANDO ELBANBUENA Y MARFIL, PETITIONER. This is a petition praying for the release of petitioner Rolando M. Elbanbuena (Elbanbuena) pursuant to the provisions of Republic Act (RA) No. 10951 and this Court's ruling in Hernan v. Sandiganbayan. 3) To suffer civil interdiction and absolute disqualification during the period of the sentence. Since Elbanbuena did not appeal the ruling, it became final and executory on August 10, 2000. On January 9, 2003, Elbanbuena started serving his sentence at the New Bilibid Prison in Muntinlupa City. 1. The penalty of prision correccional in its medium and maximum periods, if the amount involved in the misappropriation or malversation does not exceed Forty thousand pesos (P40,000). 2. The penalty of prision mayor in its minimum and medium periods, if the amount involved is more than Forty thousand pesos (P40,000) but does not exceed One million two hundred thousand pesos (P1,200,000). 3. The penalty of prision mayor in its maximum period to reclusion temporal in its minimum period, if the amount involved is more than One million two hundred thousand pesos (P1,200,000) but does not exceed Two million four hundred thousand pesos (P2,400,000). 4. The penalty of reclusion temporal, in its medium and maximum periods, if the amount involved is more than Two million four hundred thousand pesos (P2,400,000) but does not exceed Four million four hundred thousand pesos (P4,400,000). 5. The penalty of reclusion temporal in its maximum period, if the amount involved is more than Four million four hundred thousand pesos (P4,400,000) but does not exceed Eight million eight hundred thousand pesos (P8,800,000). If the amount exceeds the latter, the penalty shall be reclusion perpetua. Thus, in order to effectively avoid any injustice that petitioner may suffer as well as a possible multiplicity of suits arising therefrom, the Court deems it proper to reopen the instant case and recall the Entry of Judgment dated June 26, 2013 of the Sandiganbayan, x x x. On a final note, judges, public prosecutors, public attorneys, private counsels, and such other officers of the law are hereby advised to similarly apply the provisions of RA No. 10951 whenever it is, by reason of justice and equity, called for by the facts of each case. Hence, said recent legislation shall find application in cases where the imposable penalties of the affected crimes such as theft, qualified theft, estafa, robbery with force upon things, malicious mischief, malversation, and such other crimes, the penalty of which is dependent upon the value of the object in consideration thereof, have been reduced, as in the case at hand, taking into consideration the presence of existing circumstances attending its commission. For as long as it is favorable to the accused, said recent legislation shall find application regardless of whether its effectivity comes after the time when the judgment of conviction is rendered and even if service of sentence has already begun. The accused, in these applicable instances, shall be entitled to the benefits of the new law warranting him to serve a lesser sentence, or to his release, if he has already begun serving his previous sentence, and said service already accomplishes the term of the modified sentence. In the latter case, moreover, the Court, in the interest of justice and expediency, further directs the appropriate filing of an action before the Court that seeks the reopening of the case rather than an original petition filed for a similar purpose. Hence, this petition which seeks, among others, the modification, in conformity with RA No. 10951, of the Decision dated July 5, 2000 rendered by Branch 41 of the Regional Trial Court of Bacolod City and, pursuant thereto, Elbanbuena's immediate release from confinement. In a Resolution dated April3, 2018, this Court required the Office of the Solicitor General (OSG) to comment on the petition (and its consolidated cases) and recommend guidelines relative thereto and similar petitions. 12. x x x While R.A. No. 10951 did reduce the imposable penalties for petitioners' crimes under the RPC, the reduced penalties to be actually imposed for these crimes have yet to be fixed by a court of competent jurisdiction. As held by this Court in Hernan v. Sandiganbayan, the passage of RA No. 10951 is an exceptional circumstance which warrants not only the re-opening of an already terminated case, but also the recall of an Entry of Judgment for purposes of modifying the penalty to be served. Thus, in Hernan, this Court re-opened the case for the sole purpose of re-computing the proper sentence to be imposed in accordance with RA No. 10951. In contrast, petitioner Elbanbuena here seeks not only a modification of his sentence in accordance with RA No. 10951; he also seeks immediate release from confinement on account of his alleged full service of the re-computed sentence. The determination of whether he is entitled to immediate release, however, would necessarily involve ascertaining, among others, the actual length of time Elbanbuena has actually been in confinement and whether time allowance for good conduct should be allowed. Such an exercise would, at the first instance, be better undertaken by a trial court, which is relatively more equipped to make findings of both fact and law. These guidelines shall govern the procedure for actions seeking (1) the modification, based on the amendments introduced by RA No. 10951, of penalties imposed by final judgments; and, (2) the immediate release of the petitioner-convict on account of full service of the penalty/penalties, as modified. The Public Attorney's Office, the concerned inmate, or his/her counsel/representative, may file the petition. The petition shall be filed with the Regional Trial Court exercising territorial jurisdiction over the locality where the petitioner-convict is confined. The case shall be raffled and referred to the branch to which it is assigned within three (3) days from the filing of the petition. (A) Pleadings allowed. - The only pleadings allowed to be filed are the petition and the comment from the OSG. No motions for extension of time, or other dilatory motions for postponement, shall be allowed. The petition must contain a certified true copy of the Decision sought to be modified and, where applicable, the mittimus and/or a certification from the Bureau of Corrections as to the length of the sentence already served by petitioner-convict. (B) Verification.- The petition must be in writing and verified by the petitioner-convict himself. V. Comment by the OSG. Within ten (10) days from notice, the OSG shall file its comment to the petition. VI. Effect of failure to file comment. Should the OSG fail to file the comment within the period provided, the court, motu proprio, or upon motion of the petitioner-convict, shall render judgment as may be warranted. VII. Judgment of the court. 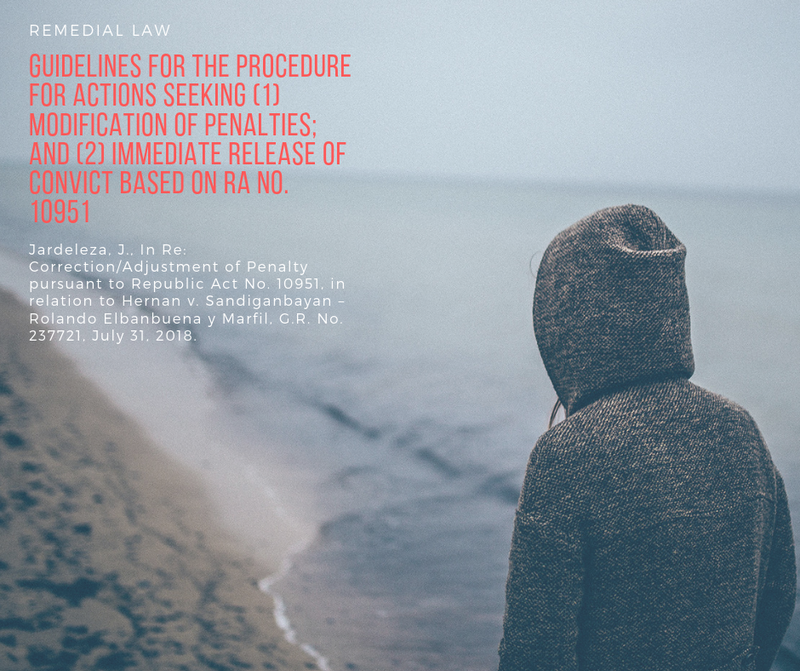 c. Whether the petitioner-convict is entitled to immediate release due to complete service of his sentence/s, as modified in accordance with RA No. 10951. The judgment of the court shall be immediately executory, without prejudice to the filing before the Supreme Court of a special civil action under Rule 65 of the Revised Rules of Court where there is showing of grave abuse of discretion amounting to lack or excess of jurisdiction. VIII. Applicability of the regular rules. The Rules of Court shall apply to the special cases herein provided in a suppletory capacity insofar as they are not inconsistent therewith. WHEREFORE, premises considered, the petition is GRANTED. The Decision dated July 5, 2000 in Criminal Cases Nos. 95-17263, 95-17264, 95-17265, and 95-17266 is hereby REMANDED to the Regional Trial Court in Muntinlupa City for the determination of: (1) the proper penalty/penalties in accordance with RA No. 10951; and (2) whether petitioner ROLANDO ELBANBUENA y MARFIL is entitled to immediate release on account of full service of his sentences, as modified. Let copies of this Decision also be furnished to the Office of the Court Administrator for dissemination to the First and Second Level courts, and also to the Presiding Justices of the appellate courts, the Department of Justice, Office of the Solicitor General, Public Attorney's Office, Prosecutor General's Office, the Directors of the National Penitentiary and Correctional Institution for Women, and the Integrated Bar of the Philippines for their information, guidance, and appropriate action. Carpio,[*] Velasco, Jr., Leonardo-De Castro, Peralta, Bersamin, Del Castillo, Perlas-Bernabe, Leonen, Caguioa, Martires, Tijam, Reyes, Jr., and Gesmundo, JJ., concur. Please take notice that on July 31, 2018 a Decision, copy attached herewith, was rendered by the Supreme Court in the above-entitled case, the original of which was received by this Office on August 16, 2018 at 3:00 p.m.
[*] Senior Associate Justice, Per Section 12, Republic Act No. 296, The Judiciary Act of 1948, as amended. An Act Adjusting the Amount or the Value of Property and Damage on Which a Penalty is Based, and the Fines Imposed Under the Revised Penal Code, Amending for the Purpose Act No. 3815, Otherwise Known as "The Revised Penal Code," as Amended. G.R. No. 217874, December 5, 2017. On October 15, 1993, and by virtue of his office, Elbanbuena received Land Bank Check No. 8617487 in the amount of P29,000.00, intended for deposit in the school's Maintenance and Other Operating Expenses (MOOE) account. He, however, failed to deposit said check. On October 18, 1993, Elbanbuena received two (2) Land Bank Check Nos. 8617490 and 8617425 in the amount of P100.00 and P595.00, respectively. However, he falsified the amounts stated in the checks, making it appear that the checks were issued in the amounts of P38,100.00 and P24,595.00, respectively. He encashed the checks against the MOOE Fund account in Land Bank and misappropriated the same for his own personal use. On October 20, 1993, Elbanbuena received Land Bank Check No. 8617486 in the amount of P8,350.24. Once again, he falsified the amount in the check by changing the amount in words and figures to P98,350.24. He encashed the check against the MOOE Fund account in Land Bank and misappropriated the amount of P98,350.24 for his own personal use. Rollo, pp. 28-32. OSG consolidated comment, p. 6. Sec. 5(5). Promulgate rules concerning the protection and enforcement of constitutional rights, pleading, practice, and procedure in all courts, the admission to the practice of law, the Integrated Bar, and legal assistance to the underprivileged. Such rules shall provide a simplified and inexpensive procedure for the speedy disposition of cases, shall be uniform for all courts of the same grade, and shall not diminish, increase, or modify substantive rights. Rules of procedure of special courts and quasi-judicial bodies shall remain effective unless disapproved by the Supreme Court.